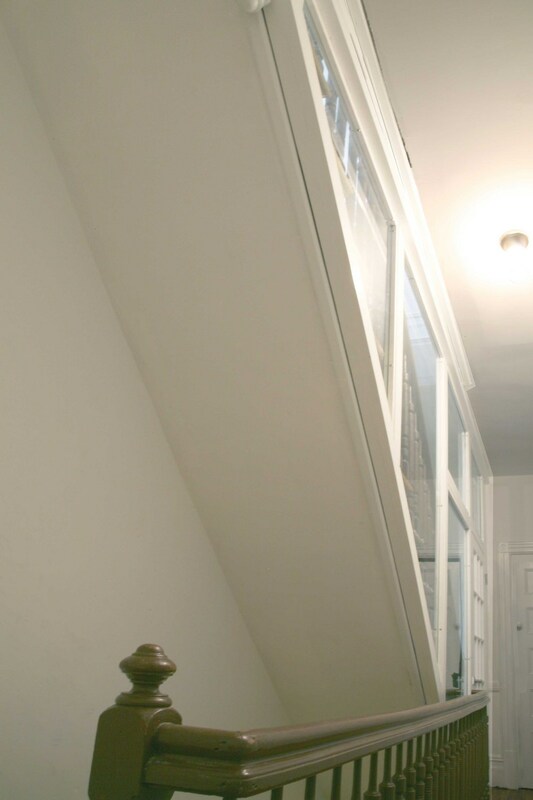 This is a modern strategy for separating and securing the upper level apartment of a townhouse while maximizing natural light. 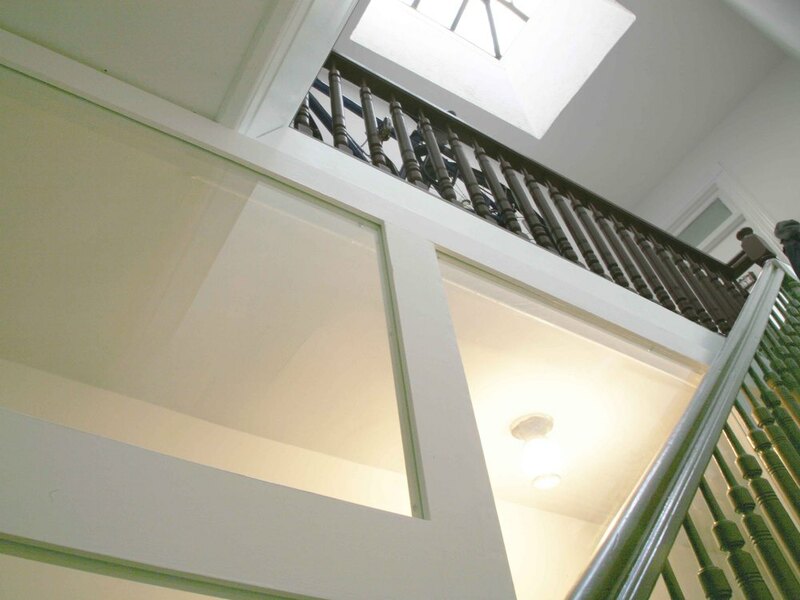 Minimizing the interference with the existing architecture of the stair, we enclosed a glass wall along the stringer to allow the stair and hall above to become part of the private space of the top floor apartment. Designers: Grant Davis Thompson Inc.